Prepare to be amazed! This beautiful pond view home located in the gated community of Bella Vida is now for sale and awaits a new owner! 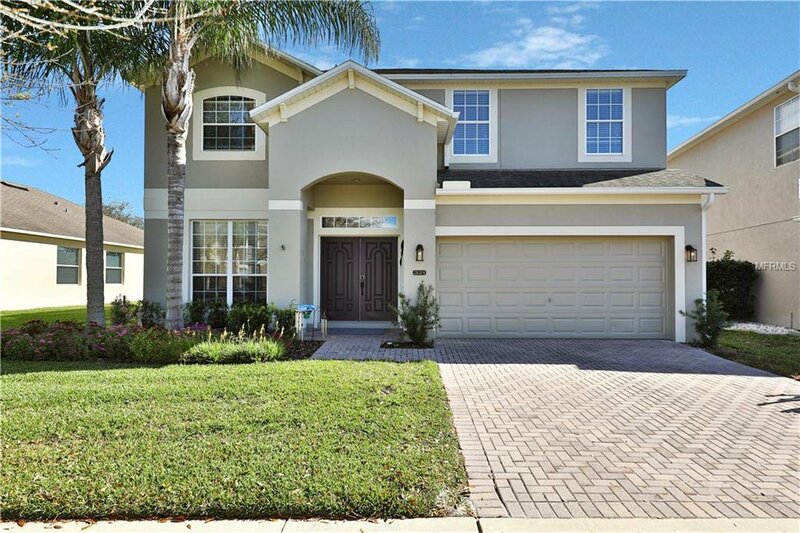 This home has a HUGE master suite, amazing high ceilings, gorgeous laminate throughout the upstairs, and a covered lanai that looks straight on to the water with a magnificent view of the fountain that lights up in the evening! You have an open floor plan through out the home and plenty of space for entertaining, along with a fire pit for cooler nights. Shopping, dining, and highways are all within a five minute drive! Come take a look today! Listing courtesy of EXIT REALTY CENTRAL. Selling Office: ENGEL & VOLKERS.